"A cup of coffee is the final product of a complex chain of operations: farming, post-harvest processing, roasting, and brewing," said principal investigator Luc De Vuyst, M.Sc., Ph.D., Professor of Industrial Microbiology and Food Biotechnology, Vrije Universiteit Brussel, Brussels, Belgium. "There are several variants of post-harvest processing, among which wet processing and dry processing are the most common." Wet processing—commonly used for Arabica and specialty coffees—is the step that includes fermentation. "We carried out the research at an experimental farm in Ecuador through a multiphasic approach, encompassing microbiological, metabolomics, and sensory analysis," said Dr. De Vuyst. However, it is challenging to draw a causal link between the microbiota and the volatile compounds in the beans—those compounds that contribute to the coffee's smell—since many of these compounds can be of microbial, endogenous bean metabolism, or chemical origin," said Dr. De Vuyst. "However, we did see an impact of the microbial communities, in particular the lactic acid bacteria," said Dr. De Vuyst. They yielded fruity notes, and may have "had a protective effect toward coffee quality during fermentation because of their acidification of the fermenting mass, providing a stable microbial environment and hence preventing growth of undesirable micro-organisms that often lead to off-flavors," he said. "Furthermore, there is a build-up of the fermentation-related metabolites onto the coffee beans, which affects the quality of the green coffee beans and hence the sensory quality of the coffees brewed therefrom," said Dr. De Vuyst. Dr. De Vuyst emphasized that how each stage of processing influences the taste of coffee remains mostly uncharted. 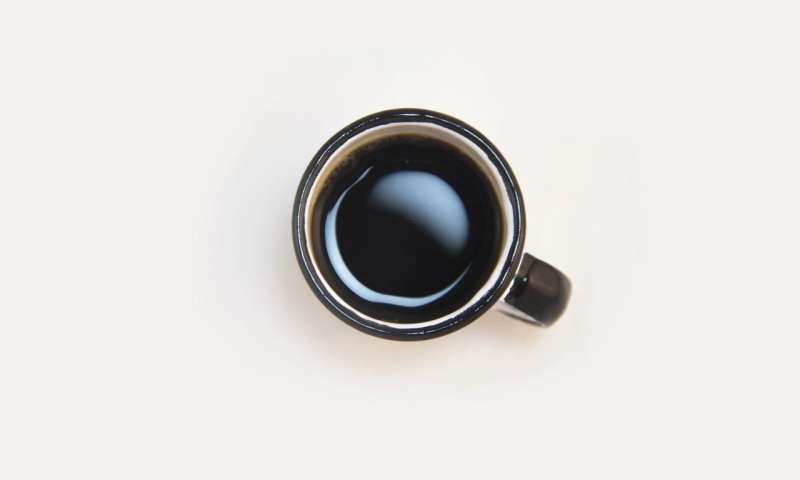 "We were aware of many different micro-organisms during wet coffee fermentation—enterobacteria, lactic acid bacteria, yeasts, acetic acid bacteria, bacilli, and filamentous fungi," said Dr. De Vuyst, but it is still unknown how most bacteria influence this process. The work was a collaboration between the Vrije Universiteit Brussel, and the Nestlé Research Center. "Nestlé was interested in the fundamental aspects of coffee processing, in particular, the post-harvest processing chain, in order to correlate it with the roasting process and of course the final cup quality," said Dr. De Vuyst. The day is not off to a good start without that morning cup of good coffee. *& digestible by a host of scurrying little micro-bugs! I hope the manufacturers do not misuse thus research to render their coffee lines tiresomely bland & insipid. As happened with industrial production of cheeses. The excise used was that flavor-enhancing microbes could not survive during machine processing. The poor quality of flavor among retailed apples is a byproduct of Anthropospecific Intensified Climate Change. Apples are the "canary-in-the-coal-mine" among fruit. In order to set properly, apples need a few months of freezing weather. Similar to maple syrup production. I/we have found that The Swiss Colony company of Wisconsin makes delicious cheese(s) that are superior to those that are bought in supermarkets. We order from their website. Their Marzipan is amazing as are their Petit Fours. Great with coffee. Thanks seu for the suggestion. I will try them out forthwith in hopes of being promptly beguiled.